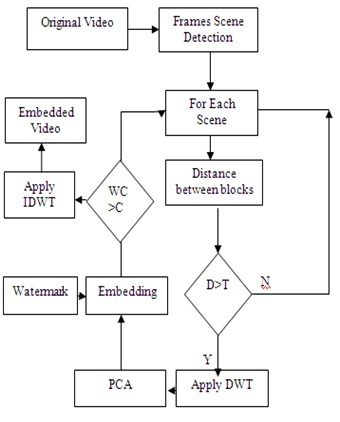 Abstract: This paper focus on the video watermarking using DWT and PCA techniques. Embedding and extraction process is robust against different attacks such as filter, spatial, compression and swapping. 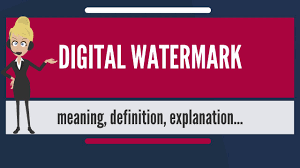 Whole work is divide into two steps first is embedding where video frames are analyze and watermark bits are embedded into the frames while in next step watermark bits are extract from the embedded video that is term as extraction. 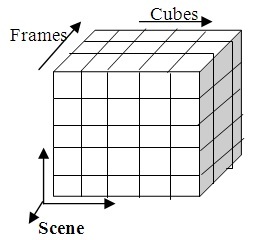 Division of video in frames then in cubes lead to high efficiency of watermark embedding, so goal of invisible watermark get successful. Use of eludician distance formula for the cube selection criteria make it a robust algorithm against different attacks. 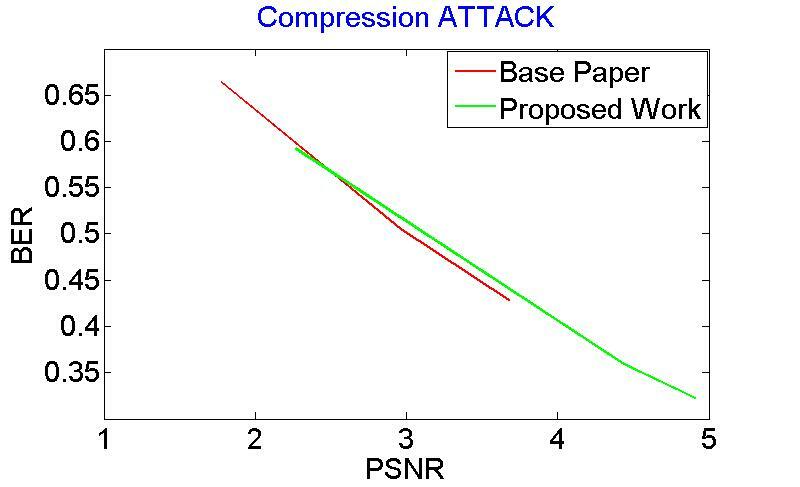 Proposed work is evaluated on various parameter for different attacks such as noise, compression, etc. Results show that proposed work well in all condition. It has been obtain that BER rate of the work in presence of attack condition is very low as compare to previous work, which is highly effective. Application : Invisible Embedding of image in video frames.